"Here he come. From the planet Kryptar..." And thus begins the Aaron Moles send-up of Turkish cinema, Return to Supermans. 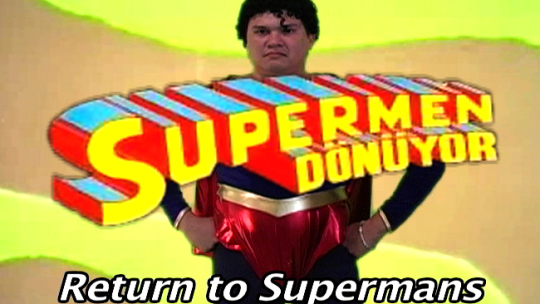 Starring Willy Roberts as "Supermen," this show blasted onto the screen at Cinespace in October 2007 and assured itself a place in Prime Time with a brilliantly faithful recreation of a hilarious genre. For Truth or Justice. The America way.